"The Financial Commissioner was therefore not competent to amend the Rules with regard to grant of number of licences for the entire state, and which power was exclusive to the State Government under Section 6 read with Section 13(a) and 58(2)(e) of the Act." The Supreme Court has struck down Rule 24(i-eeee) of the Haryana Liquor License Rules 1970, holding that the same is ultra vires the Punjab Excise Act, 1914. 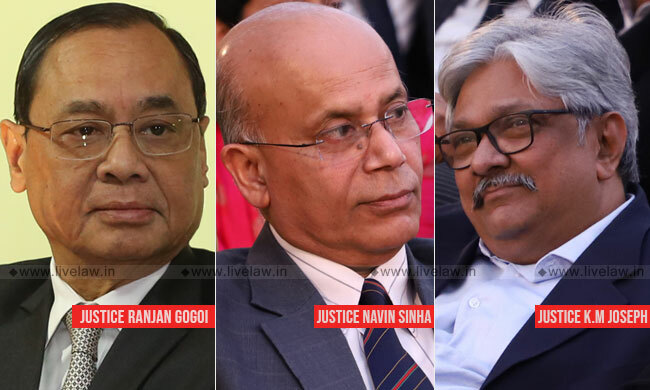 The majority (CJI Ranjan Gogoi and Justice Navin Sinha) observed that the Financial Commissioner was not competent to amend the Rules with regard to grant of number of licences for the entire state, and which power was exclusive to the State Government under Section 6 read with Section 13(a) and 58(2)(e) of the Act. Justice KM Joseph, in his dissenting judgment, opined that the Financial Commissioner has power to decide upon the number of licenses. The amended Rule, which is struck down now, provided for a single L-1BF license for the entire State to deal in imported foreign liquor, bottled outside India and imported into the country in a bottled form (i.e. bottled in original). The issue considered in the appeal filed by International Spirits And Wines Association Of India was whether a sub-delegate of the Financial Commissioner is competent under Section 13(b) read with Section 59(a) to issue L-1BF licence for the entire state under the amended rule, notwithstanding the prohibition in Section 13(a) to the delegation of powers under Section 58 by the State Government. The High Court had dismissed the writ petition filed by the Association. "To hold that the power of Financial Commissioner under Section 59(a) of the Act to regulate sale of liquor, and that sale could be regulated through grant of licence, the Financial Commissioner was vested with the power to determine the number of licences, to our mind is not only unreasonable but also unsustainable. Such an interpretation amounts to reading words into the statute which the legislature itself never intended. The amendment notified by the Excise 15 Commissioner as a delegate of the Financial Commissioner was per se ultra vires the powers of the latter under Section 6 and 13(a) read with Section 58(2)(e) of the Act." "The Financial Commissioner was therefore not competent to amend the Rules with regard to grant of number of licences for the entire state, and which power was exclusive to the State Government under Section 6 read with Section 13(a) and 58(2)(e) of the Act. In conclusion, we hold that Rule 24(i-eeee) as amended by the Financial Commissioner in exercise of powers under Section 59(a) of the Act is ultra vires the powers of the Financial Commissioner under the Act and is therefore struck down. In view of Rule 24(i-eeee) itself having been struck down, it is not considered necessary to discuss or consider the other grounds of challenge raised."